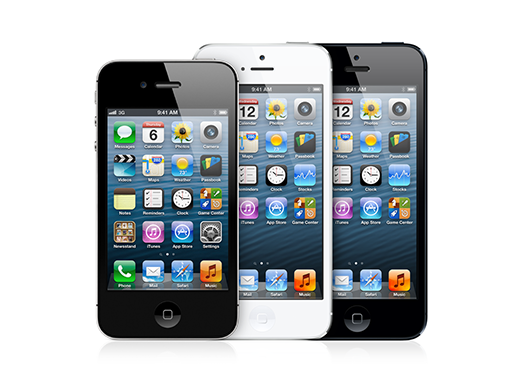 iPhone Reuse and Recycling Program will give customers credit towards a new iPhone in exchange for their old device. In speaking with CNBC today, Apple confirmed that they will be launching a trade-in program, exchanging iPhones for store credit towards a newer model. 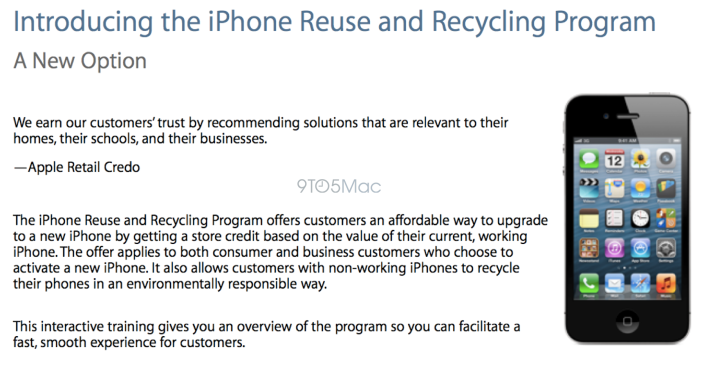 The program, dubbed the "iPhone Reuse and Recycling Program", is now available in stores across the United States but does come with its share of caveats. First off, customers will be expected to purchase their new iPhone during the same exchange transaction, and the gift cards can't be used at a later date. In addition, the credit will only work towards new iPhones purchased on-contract, making them invalid towards other Apple products. The company will also be accepting non-functional iPhones for recycling purposes, although no credit will obviously be provided. As for the actual values Apple plans on placing on their used devices, they fall well below the going rate for other trade-in offers. The final amount will depend on supply and demand, but a 16GB iPhone 5 is expected to be valued at ~$250 while an 8GB iPhone 4 will only fetch ~$130. Ultimately, users who don't plan on selling their old device will benefit the most through this trade-in, as they can save a few bucks on their next iPhone. Of course, Apple also comes out on top by generating new sales and by using those "recycled" iPhones as replacement devices in their Genius Bar. Training image for trade-in program.